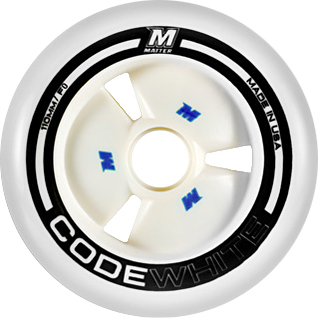 The Code White speed skate wheel from Matter is "the new black" for speed skaters. The ultimate high end wheel from Matter. It has been developed by their world leading speed team - Ensuring the grip and security needed in corners. A speed skate wheel made for all distances and all track-types.